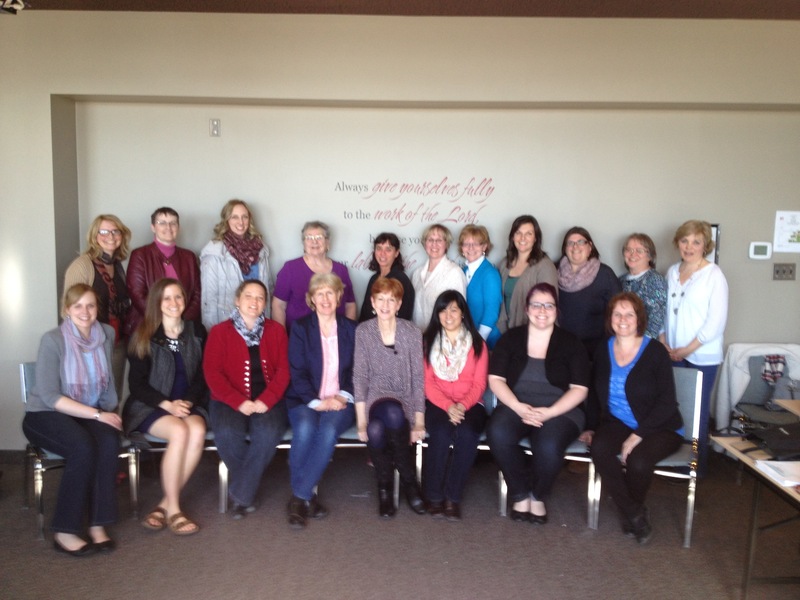 One of the new initiatives at Heritage Seminary is our Graduate Certificate for Women in Ministry. The program is designed to provide excellent academic training for women engaged in ministry their churches and communities. 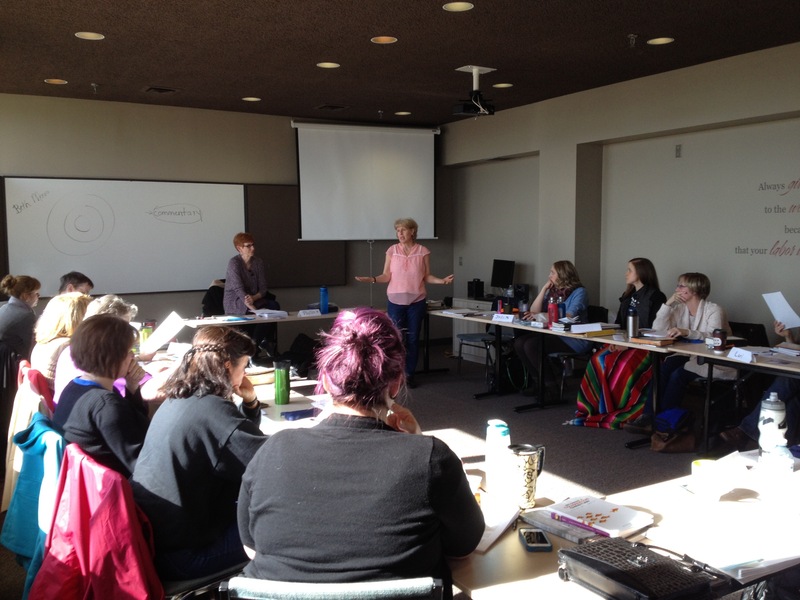 Linda oversees the program and invited Dr. Phyllis Bennett from Western Seminary in Portland Oregon to teach a course on Designing Life-Changing Bible Study Curriculum. Linda had taken the course at Western several years ago and wanted to bring it to help the churches in Canada. The insights and skills the women gained in this course will help them develop Bible study curriculum for their local churches. Several of the women plan to write Bible studies for different language groups. We are thrilled to think of the impact this course will have on many lives. The next course for the Graduate Certificate for Women in Ministry is a class on “Great Women of the Faith.” The course will run from June 15-19 and be taught by Dr. Michael Haykin and Linda Reed. It will provide an inspiring look at the lives of key women from Bible times to the present time. I’d encourage some of you reading this to consider taking part in this course–or one of the other summer courses at Heritage. It would be an investment in your spiritual life and a way to become better equipped for life and ministry. You can find more information on our summer courses here. UPDATE: If you’d like to see ALL the upcoming courses in the Graduate Certificate for Women in Ministry program click here (or select the “Women in Ministry Courses” tab in the banner at the top of the page). This entry was posted in Heritage, Ministry Matters and tagged Graduate Certificate for Women in Ministry, Heritage College and Seminary. Bookmark the permalink.